Provide comfort for the family of Dawn Bates with a meaningful gesture of sympathy. It was with sadness that we said goodbye to our beautiful mother Dawn Marie Bates on Wed., March 6/19, in her 75th year. Predeceased by her husband, the late Lewis Bates. 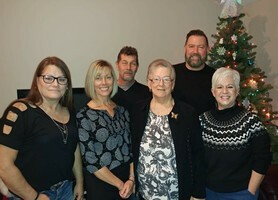 She will be greatly missed by her children Laurie(Al),Michael(Paula), Lisa(Brian), Darren(Shelley), and Cindy(Mark) and her 12 grandchildren, Mike, Nick, Krissy, Eric, Erin, Deanna, Michelle, Ryan, Jamie, Justin, Liam and Nicole, as well as 6 great grandchildren. Our mother was a bright light who had a zest for life and a great love for her family. 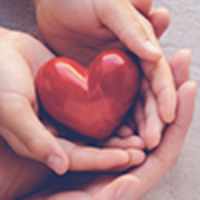 In lieu of flowers, donations to the Heart and Stroke foundation or the Diabetes Assoc. would be greatly appreciated. To send flowers in memory of Dawn Marie Bates (Naugle), please visit our Heartfelt Sympathies Store. Marilyn and Keith sent flowers to the family of Dawn Marie Bates (Naugle). Goodbye my dear old friend. We will miss you and your wonderful laugh. Love you so much. 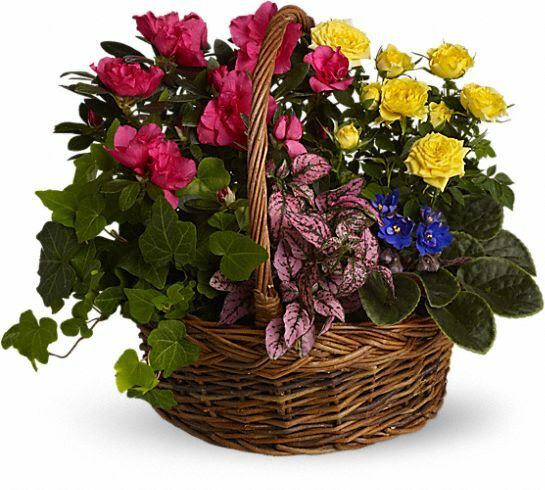 Marilyn and Keith purchased the Blooming Garden Basket for the family of Dawn Bates. Our Deepest Condolences to you and your family for the loss of your mother.